Click Here for more information, tickets and sponsorship opportunities! Join us as we celebrate 20 years of providing life changing outdoor sports opportunities to children, adults and veterans with physical disabilities and their families. We will be celebrating the successes of Adaptive Adventures in providing FREEDOM through Mobility to tens of thousands of individuals, as well as those who made a significant impact through the years. 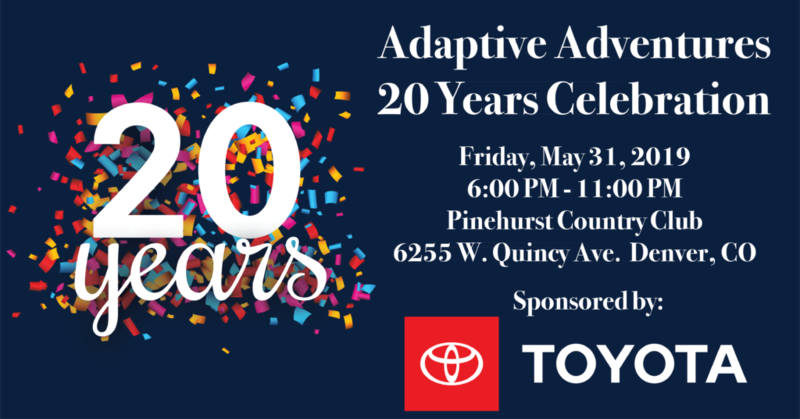 Thank you for supporting Adaptive Adventures as we look ahead to providing another 20 years of service! $1,000 VIP Table for 10 - Includes reserved prime seating, table recognition and a swag basket. 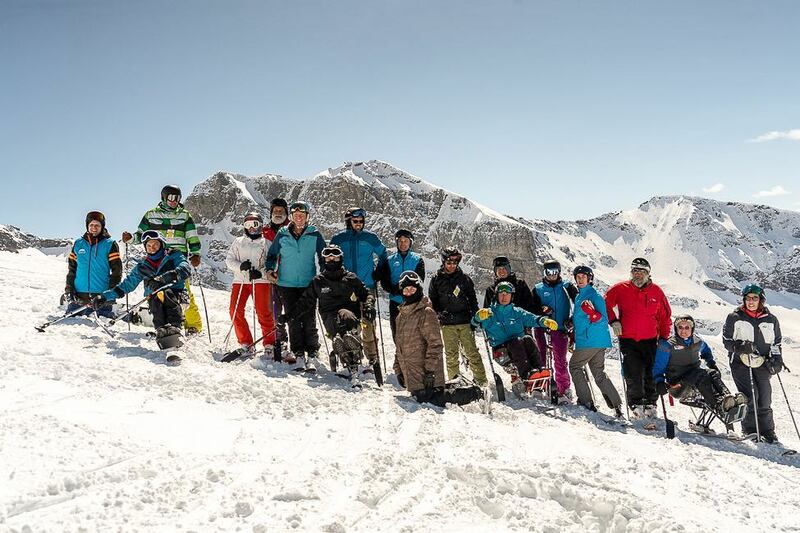 Why Should I Support Adaptive Adventures? 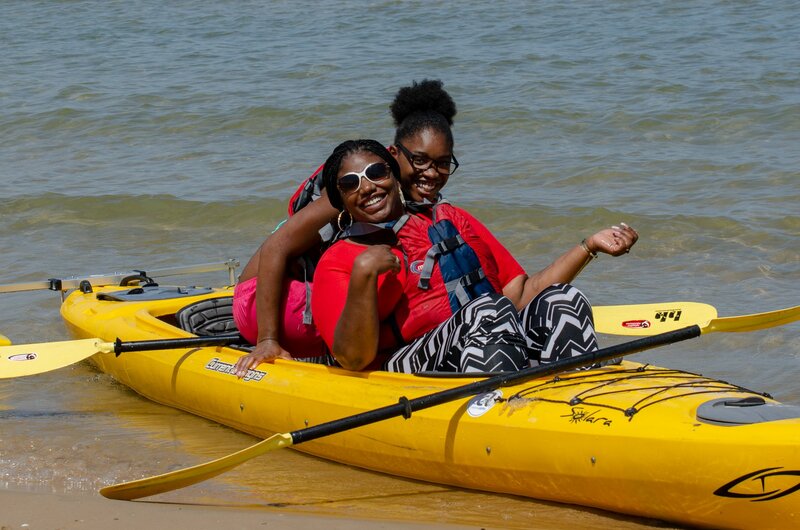 Our Mission: Adaptive Adventures provides progressive outdoor sports opportunities to improve quality of life for children, adults and veterans with physical disabilities and their families. Your support allows us to continue improving and expanding the life changing programs we offer locally and across the country. The 20 Years Celebration event is our largest fundraiser of the year. It is a great opportunity to enjoy a fun and inspiring evening with friends while providing FREEDOM through Mobility to more individuals with physical disabilities and their families. Purchasing tickets to the event - Enjoy drinks, dinner, casino games, a special presentation and a live and silent auction. 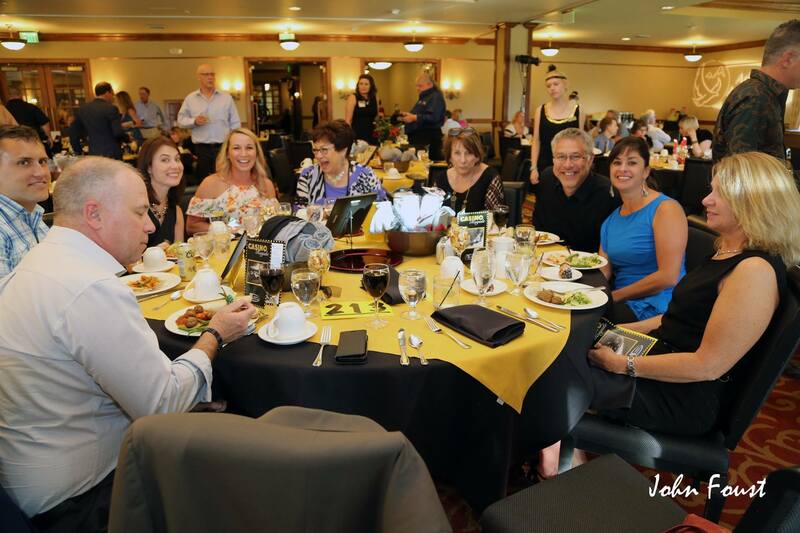 Purchasing a VIP table - Enjoy the evening with nine of your closest friends or coworkers and receive reserved prime seating, table recognition and a swag basket. Sponsoring the event - Become a sponsor of the event and have your company displayed on interactive screens at the venue, named on the radio, included in digital and print marketing, receive tickets to the event, receive social media and website promotion and more. Donate Live and Silent Auction Items - Donate gift baskets, gift certificates, unique items, vacation packages, airline miles, concert or theater tickets, unique experiences, wine and more to help generate more revenue through our live and silent auctions at the event. Please fill out the contact form below if you are interested in donating items for the live and silent auction. We will be in touch shortly. Thank you for your donation.